I would hug your article if I could, coz it takes me right back to my childhood and some beautiful memories that just became very strong now. I could almost reach out and touch them again. Beautifully written, thank you. And now I have to try the railway mutton curry too. Quite a nostalgic piece . Congratulations ! Thank you. What was your favorite Railway food ? took me back to my regular train journeys from Durgapur to Varanasi!! Just like your "Malda eshe geche..deem khabi na?" it reminded me of the early morning arrival of the train at Mughalsarai..where the tea guys woke me up with "CHAY-O..CHAY-O..."
Even in recent years, ami Bidhan bole ekta train ache DGP theke Kol oitate giyechilam, shudhu Jhaalmuri khabo bole !!! WIll the same recipe work for chicken? Where can I read more of Prita Sen's writing? The recipe looks wonderful, can't wait to try it. Your post took me back to the many many train journeys that I undertook from college (in Delhi) to home (Asansol). Like you, we had our regular foods at every station. I can still taste the bread-omelette at MughalSarai, the chat at Tundla, the "Rampiyari Chai" somewhere in Bihar and so on... Later it was the bread-doublefried egg the VT station in Bombay and peda at Allahabad (not sure about this). I have such wonderful memories of these train rides that not even a first class air travel could stand up in comparison. On the way back from home I always had the packed "porota-mangsho" and sandwiches. Oh! did you ever try the Continental dinner on Rajdhani? That was a great creation too. Ekbar train-e kore shiggiri Delhi jete hocche, just to relive that journey. Sigh! Loved reading about your experinece. "Rampiyari Cha" sounds so good. I didn't do such long journeys by train, only short overnight ones, nor did I eat the stuff that was sold on the way. Now there is a day train, and they sell biscuits and other packed snacks. I have the omelette for breakfast once in a while but that's it. Scared to eat anything mostly because the sight of the dirty pantry car puts me off. On the overnight ones we mostly had "JhaalMuri" which is really awesome when had in trains and boiled eggs and tea. Rest was packed home food. But I have had idli from stations, lovely guavas, but rarely any fried stuff like puri. 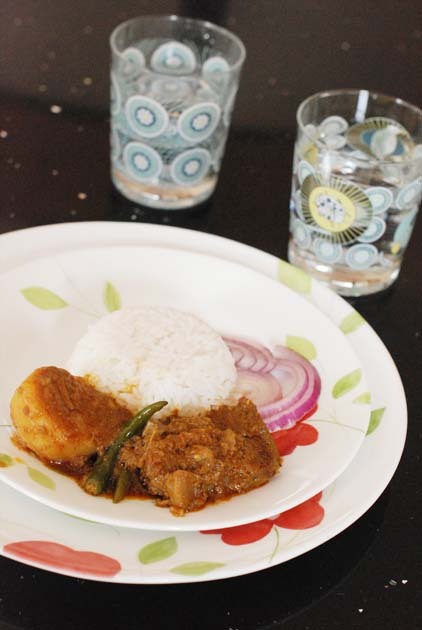 Pritha di has simply created what we bengalis call oshadharon dish. 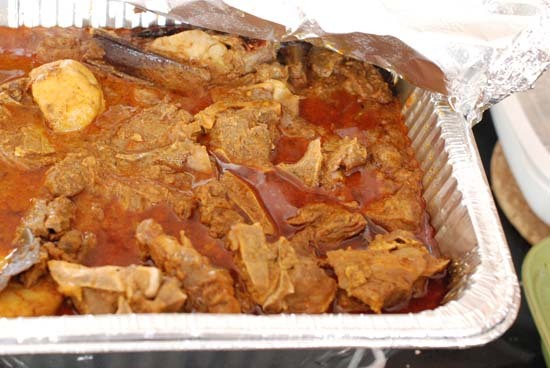 Mutton curry falls under that category and poses a challenge for foodies. Also loved your reminiscence of your 1st train journey to Siliguri. I've never cried reading a food post before!! This one takes me back to my childhood. Being a "daughter of the Railways" as an uncle calls my sister and me, your post makes me relive all those memories- from being shunted around in a meter gauge train in the dead of the night where bulbs didn't work (they'd been stolen, we found out in the morning!) due to a missed connection to the "transfer" journey when we shifted from Benaras to Lucknow and our dog barked herself hoarse and had to be given cough syrup, and oh! so many more trips- not one that didn't have some weirdness to it! Then I envied people who traveled by air. Now I envy my parents who can still undertake train journeys courtesy Indian Railways whereas I can't due to lack of time. Our bungalow peon in Benaras used to cook Railway Mutton Curry- a closely guarded secret recipe... And I'm tempted to try out yours even if its to see if I can recreate those flavours of childhood. Please do cook and see if it is same. 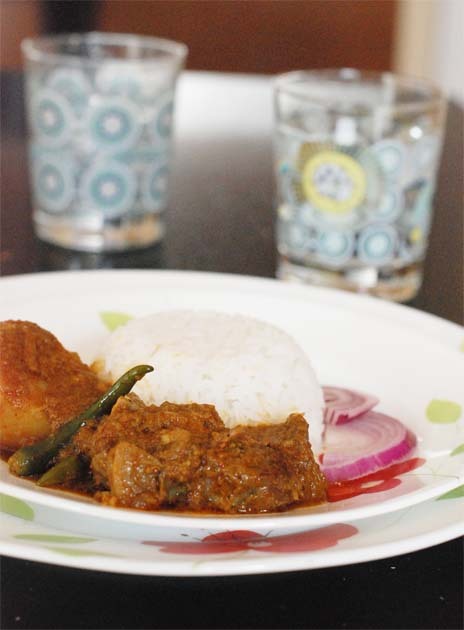 Pritha Sen who shared the recipe too calls herself from a "railway family". It is so good to see how Indian Railways have opened our floodgate. Though these days I don't want to travel in their trains in fear of the bathrooms!!! The Hubby got lamb instead of goat. But it worked! :) Aside from the addition of potato and literally very little floating oil which would've been quite a sacrilege to the North Indian in me before my high cholesterol days, it tasted pretty similar to what I've eaten... :) Tried tagging you in my FB pic but it doesn't work for some reason. Took me to my early childhood memory (I was 5 yrs old then) of traveling to Hardwar in Doon express with my family. I remember water at that time was served in glass bottles along with the food in compartmentalized steel plates. Khabar to chere dao amar khub ichhe kore BS ar LS ke niye India gele train e kacha kachi kothao jabo. Oi bathroom er bhoy ar kothao jai na. great article fully enjoyable thanks for sharing with me. What a lovely post, Sandeepa. Like you, my memories of train journeys are filled with memories of food stops and vendors. I particularly remember the guy who boarded the train near Jhargram (on the Howrah-Jamshedpur/Rourkela segment) and sold kheer kodombo. These were the best kheer kodombos I have eaten in my life: soft, fresh, and utterly sublime with their melt-in-your-mouth-and-go-to-dessert-heaven kind of feel. I also remember looking forward to eating luchi and alur chokha in a sal thonga at Kharagpur. And who can forget the vegetable chop, jhal muri, ghugni, chana, moshambi, peyara and sosha walas on our local trains. Thank you for bringing these memories back to life. Wow Kheer Kodombo ? I loved it so much more than rosgolla. Don't get kheer kodombo here :( My Mother did not allow the puri or ghugni but I did eat the other stuff. Jhaal Muri on train is something different. Shosha too right ? I grew up in a vegetarian household and most of our train journeys included the ubiquitous puri subzi which mom would pack in large steel tiffin carriers like yours. If we had friends or relations living near any stations, they were requested to pack a meal for us. Clearly my parents didn't trust railway food at all! I have great memories of a boxed dinner packed in cardboard that a friend of the family gave us in Benares/Agra (don't remember which station) with the softest paneer I'd ever had! I traveled by Indian trains last year after a long time. The food on the rajdhani and shatabdi was decent. Edible, but not great. Had to eat vegetarian again as my inlaws, who were my only traveling companions, are veg. I'd love to try this curry. When you say mutton, do you mean goat meat? Or I could just make it with chicken! I loved your picnicker murgi by the way. It was beyond delicious. Vegetarina co-passengers had amazing paratha and achaars that smelled divine. I can still recall those mirchi achaars, stuffed fat red ones. Delish. Well, as a child we rarely traveled by AC coaches, so yes, a lot of fruits and snacks (jhal muri, anyone?) were passed in and out of windows. Without fail, every time we took a train to Bombay, we'd be woken up by chants of 'Lonavala chikki' at an obscenely early hour. I was actually pleasantly surprised by the train systems this time around. The loos were very clean! I was not looking forward to taking the train for that very reason but the loos were actually reasonably clean and usable. Actually better than some public restrooms in New Jersey. There's hope yet for the Indian railway! Make a stock with chicken or mutton bones, whatever you are using, with about a litre of water, a piece of ginger and keep boiling till it reduces to about half. Should be nice and rich. Put about one tsp whole jeera, 2 tbsp whole coriander seeds, dry red chillies to taste, some garlic and ginger in a blender and make a paste. Add some turmeric powder. Lightly fry potatoes and keep aside. Slice onions fine. Heat oil. 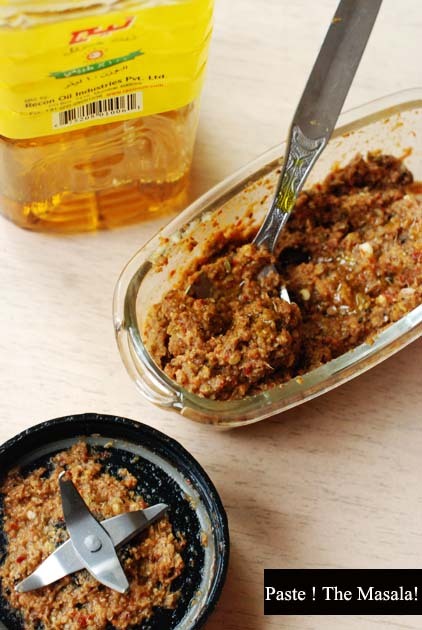 (This dish can be made with very little oil – one and a half tbsp.). Add onions and kari patta and fry till soft. Add the masala paste and fry quickly on high heat and add the meat, potatoes and strained reduced stock and half a cup of coconut milk and salt to taste. Let it cook on slow fire. If you using mutton then put on low pressure. When meat and potatoes are done, add about 2-3 tsps of tamarind pulp, a little ghee and take off fire. This recipe was originally made in ghee. A variation is without coconut milk. You can do without the curry patta as well. Both taste very good. You know this recipe with coconut milk is almost like a Kerala Stew. I will do this version, soon though might use store bought stock. What do you think ? Thank you for sharing this delicious recipe and your memories with us. I would do it without the coconut milk and curry patta but keep the tamarind. That's how I like it and perhaps that's how I had it. It's a lovely, fiery thin curry. Thanks Devinaa. Masala not smooth might be a blender issue, try in a sammel wet spice grinder. i tried this.....and believe it came out really well..........my hubby loved it...we even tried mutton curry...wt the same....tttthnx...aapnar dhannobad! Very lucid narration... reminded me of my childhood.. and fond memories of travelling to mamabari at Madhupur by train. Loved both the recipes. the one in the comment section even more. excellent recipe. i tried it with chicken drumsticks though. i don't know why but it reminded me of dhaba style chicken. one quick thing, i did not have time to marinate the chicken overnight. so, i put ginger garlic paste on it and then baked it without lid till it becomes brown. and then follow the rest of your recipe. this trick is useful especially if your recipe asks for frying the meat. 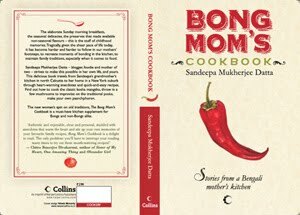 More than the recipe, it's the accompanying story by Pritha Sen that I enjoyed the most( well the recipe is also good). As a person born in the 80s I have never experienced any train journey like this, I wonder this story belongs to which period of Indian railways. Really enjoy reading your blog... I tried out this recipe last week, and it turned out to be finger-licking good... Thanks for sharing! I happened to mention to my Bong friend whose wife introduced me to Bong food about how much I loved this curry, and he mentioned that there is a Dak Bungalow Mutton Curry... Have you ever heard of it? Can I make this curry with Chicken? Hi Sandeepa, I have only recently started cooking non veg (only chicken). I tried the recipe with chicken to create Railway Chicken curry, if there is such a thing. It was finger licking good. 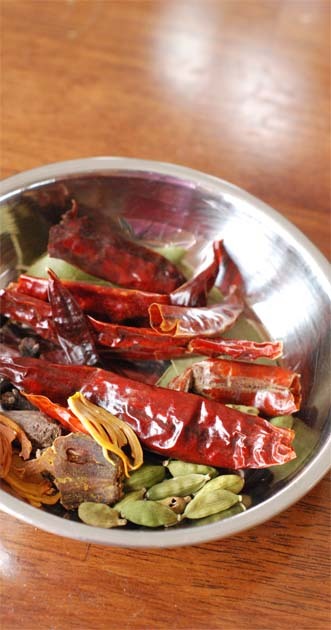 The changes I made was to reduce the chillies as we prefer less heat. And had to omit the potatoes as my husband isn't too fond of it. Thanks so much for sharing a recipe which is for keeps. This is such a beautiful recipe and brought back so many train travelling memories. Can you please continue to add more recipes and update your blog coz i just love it! The recipe isnot that great.. So much time went in cutting and chopping but the end product isnot worth the effort.. Dont why so much of hype created over this recipe. I am regular follower of your blog but this revipe is not at all good..
Hey bong mom.. Thanks for this recipe! It was a lovely curry reminiscent of 'Sunday afternoon mutton Curry' at our house! I used a mortar pestle to grind the masala.. I feel it did make a difference!